FREDERICTON -- Groundbreaking new research by Canadian and international scientists has found a way to give amputees a sense of movement in a prostheses, much like in a real limb. 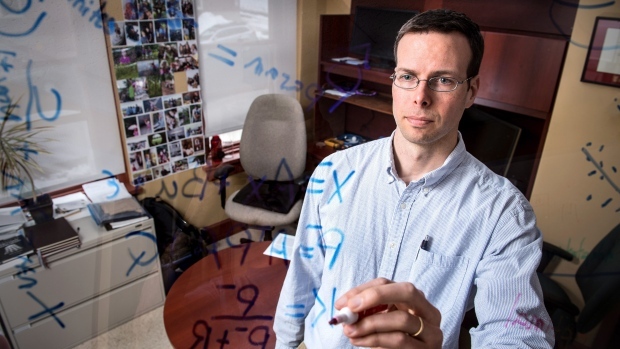 Jon Sensinger of the University of New Brunswick said the discovery was a eureka moment. "Yes it really is. 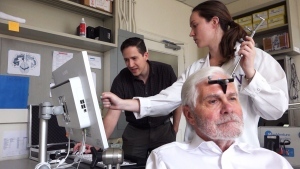 The sense of kinesthesia, or restoring a sense of movement, is something people have been working on for 40-50 years," said Sensinger, associate director of UNB's Institute of Biomedical Engineering. The team, led by the Cleveland Clinic in Ohio, used small but powerful robots to vibrate specific muscles to give patients the sensation of movement, allowing them to feel that their fingers and hands were moving and that they were an integrated part of their own body. "By restoring the intuitive feeling of limb movement -- the sensation of opening and closing your hand -- we are able to blur the lines between what the patients' brains perceived as self versus machine," said Paul Marasco, lead researcher and head of the Laboratory for Bionic Integration in Cleveland Clinic's Lerner Research Institute. The patients not only felt their missing limbs move, but could use the sensations to manipulate their prostheses to accurately guide complex grips. Sensinger said most people can close their eyes and touch their nose with their hand without visually being aware of what their arms are doing because of that sense of movement. He said the team has been able to figure out how the brain is sensing that. "Basically what it's doing is sensing the vibrations of your individual muscle compartments marching in place with each other. It turns out they march at a pretty fixed frequency of around 90 hertz. So 90 times per second they're bouncing up and down," Sensinger said. "If we use a little robot and we put that on the person's tendon of their muscle and we vibrate it at that exact same frequency, then instantaneously we're able to restore the illusion that their hand is moving in a repeatable way." The first-of-their-kind findings are being published Wednesday in Science Translational Medicine. Other co-authors on the study include Jacqueline Hebert from the University of Alberta. Sensinger said for him, the exciting part is that it restores the sense of agency -- or the idea that your body belongs to you. "The device will feel more like an extension of their body and less like an annoying lump of weight that's hanging off them all day," he said. The robot device is about the size of a matchbox, and researchers have been able to integrate it into the sockets of the prostheses of test subjects. The researchers said they plan to explore ways to expand the techniques to patients who have lost a leg, as well as for those with conditions that inhibit movement sensation such as stroke.